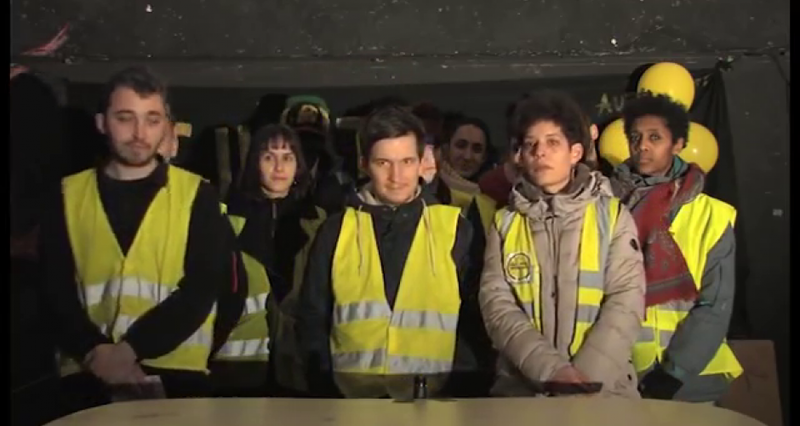 The assembly of yellow vests from Montreuil has answered the call from Commercy. They have accepted the invitation to attend the assembly of assemblies. They confirmed the importance of not splitting the movement into “good” and “bad” demonstrators. 300 people resisting against the police to defend a roundabout, that is proletarian self defence. Calls for assemblies and popular occupations involve seizing space and talking about our problems, our contradictions and ways to solve them. But they can be very limited if the commodification of the world, of the idea of a State and of hierarchical relations don’t become an essential critical aspect of the struggle. Even worse, if they remain tolerant towards xenophobic ideas or political parties, they simply conform to the citizenist notion that all ideas are equivalent and deserve to be politely discussed, as if we could have a polite conversation with our future executioners.